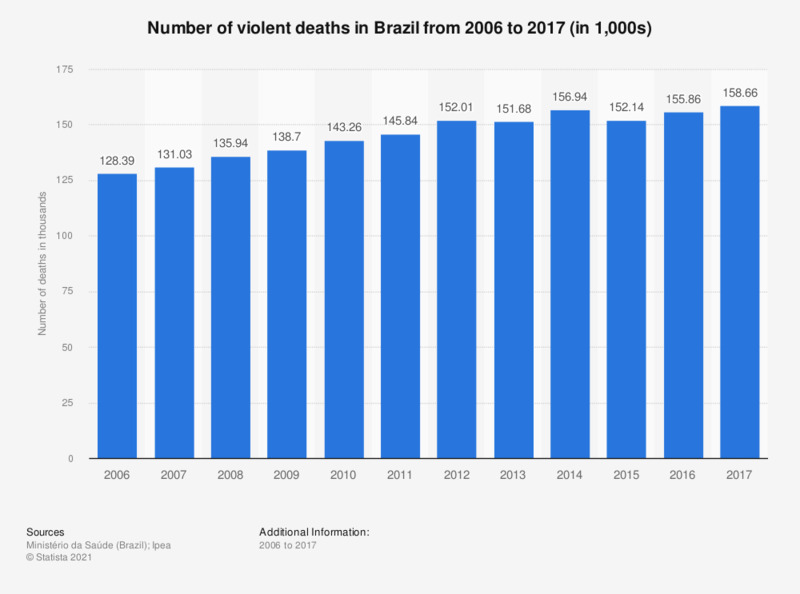 This statistic presents a timeline with the number of violent deaths registered in Brazil from 2006 to 2016. In 2016, approximately 155,860 violent deaths were reported in the Latin American country, up from about 152,140 deaths a year earlier. The number of suicides in Brazil amounted to 11,430 in 2016. Source does not provide a publication date. Date of publication is the date of access.